It’s that time of year again, New Year New You. This is the perfect time of year to evaluate your goals and ambitions, and to plan how you are going to achieve them. Here at Grainful, we are committed to living healthy lives. This includes your meals, habits, and commitment to being the best version of yourself. Here are some of our focuses this year that will help you live that healthy lifestyle! Meal prepping is one of the best ways to stay on track with healthy eating, spending and maintaining a good relationship with food. By planning and making your meals in advance, you are able to grocery shop much more efficiently and waste less food. There is nothing worse than watching veggies wilt until you have to discard them. Take a day to write down your meals, shop and prepare everything. This way, on busy mornings you can grab breakfast to go and a well-rounded lunch for later. Meal prepping also makes you take a snapshot of your weekly food intake, which is great for a balanced diet. Convinced that meal prepping is for you? 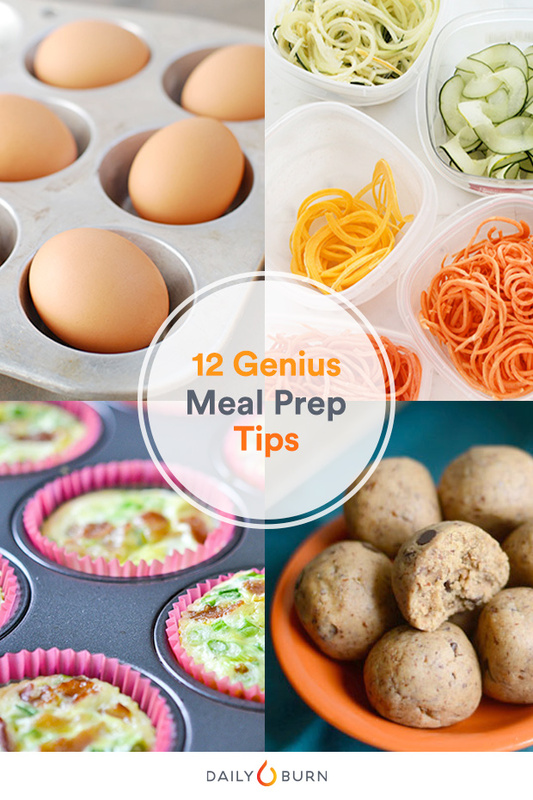 Check out: 12 Brilliant Meal Prep Ideas from The Daily Burn. We love their customized healthy oatmeal jars tip! Bonus: Our friends at Shape.com rounded up 12 of the best Instagram accounts to follow for meal prepping ideas that are thinking outside of the chicken-and-rice box. Check it out here. Almost everyone includes "workout more" on their list of New Year's resolutions. Staying active is great for your body, mind and spirit, so consistent exercise should be a top priority in focusing on being the best version of yourself. Though sometimes it feels like there are not enough hours in the day to get to the gym three times a week. But now, you no longer can use those excuses because you don't have to go to the gym at all to get in a quick session. Ever heard of Deskercising? Yeah, it's a thing. Check out Time's 10 exercises you can do at your desk. Also, check out these deskercising tips from Greatist. Stapler curls? Yes please! It is important to surround yourself with people that inspire and motivate you for the best. Watching others achieve goals or having someone to give you a little extra push during tough times will help with your successes. In the social-media-driven world we live in, you can find tons of inspiration in the palm of your hand. Take a break from scrolling through cat videos and indulgent recipes and check out these gratifying and inspiring Instagram accounts from Happier.com. Bonus: Follow @grainfulgoodness on Instagram and @Grainful on Twitter for even more inspo! Have fun! Enjoy life and every moment in it. Exhibit A: Chef Sacco caught living her life to the fullest with a smile and some killer dance moves. We hope you have a happy and healthy 2017 and can't wait see what is in store for all of us!